The GSAS LPC 1768 is a development and evaluation board that is built on the NXP LPC1768 platform, an ARM Cortex-M3 based microcontroller for embedded applications featuring system enhancements such as enhanced debug features and a higher level of support block integration. 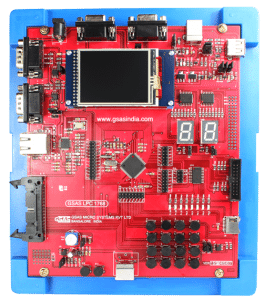 GSAS MCB51 is a development board and supports a wide variety of 8051 (with on chip ROM) compatible 8-bit micro-controllers. The 8051 family of micro-controllers are extensively used for embedded and real-time applications. 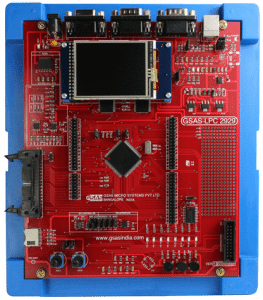 GSAS-86/88E is an economical version of our advanced microprocessor trainer GSAS-86/88-3. It is a powerful, general purpose microprocessor trainer which can be operated either with 8086 CPU or 8088 CPU in maximum mode of operation. It can be configured for different modes of operation. GSAS 86/88-A is an advanced version of our popular model GSAS 86/88-A. 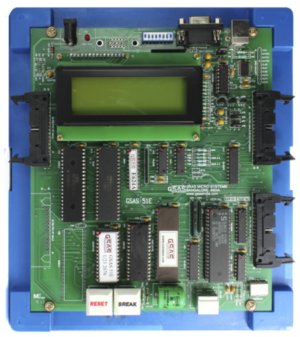 It is a powerful, general purpose 16 bit microprocessor trainer. The system expansion can be easily done through the system bus connectors.GSAS 86/88-A comes with keyboard monitor, serial monitor, single line assembler, disassembler and driver programs for parallel printer interface, PROM programmer interface. GSAS 86/88-A is delivered with comprehensive user friendly documentation and windows based communication package with on line help. 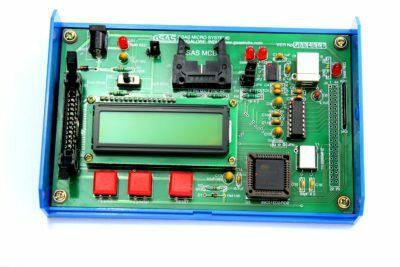 GSAS 85 is a microprocessor trainer with standard features like small keypad, LED display, monitor program etc, has become a very popular device for training and development, probably due to its low cost. 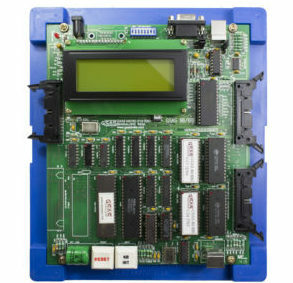 As microprocessor applications have become more popular, the requirement for a more advanced microcomputer trainer with powerful system software and additional hardware started growing. 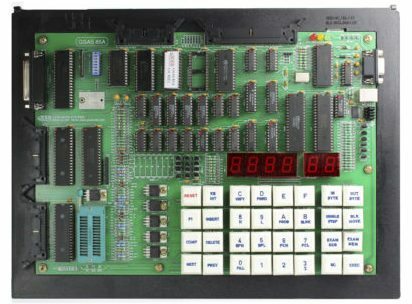 GSAS 85A is a microprocessor trainer with standard features like small keypad, LED display, monitor program etc, has become popular in training and development areas probably due to its low cost. Microprocessor applications are increasing and the requirement for a more advanced microcomputer trainer with powerful system software & additional hardware started growing. GSAS 85A is a result of GSAS’s conscious effort to satisfy this requirement. 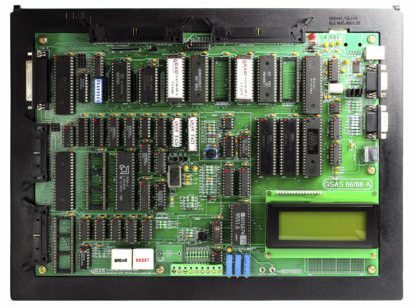 GSAS 85A has most of the useful features any single board computer user wishes to have for which GSAS’s products are popular.